Offering fun-packed days and incredible value for money, Disney’s All-Star Resorts ensure a great time for the whole family. Located in Disney’s Animal Kingdom Resort Area, it is set out as three resorts all featuring the same family-friendly facilities –this means it’s easy to choose whichever theme suits you and your children and help you enjoy the perfect Disney holiday together. We think they offer the opportunity to experience the real magic of Disney. 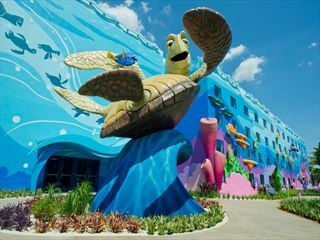 Disney’s All-Star Sports Resort comprises five themed areas – basketball, American football, tennis, baseball and surfing – all featuring larger-than-life props. 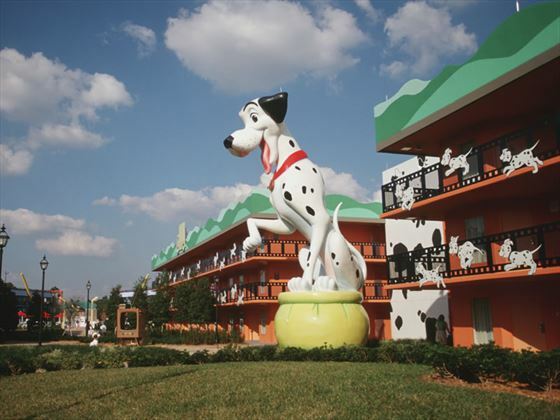 Disney’s All-Star Movies Resort wows the kids with gigantic puppies from 101 Dalmatians and an enormous Herbie, the Love Bug. And Disney’s All-Star Music Resort is kitted out with towering saxophones, guitars and drum kits. Each of the hotels has access to two swimming pools, a children’s playground, a games and video arcade and a large, themed food court serving up a variety of fast food options that the kids will love. Top Tip: If there are more than four people in your party you’ll be pleased to hear that Disney’s All-Star Music Resort has family suites which sleep families of six. 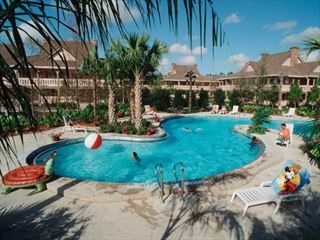 A Disney Value Resort located in the Animal Kingdom resort area. Preferred Rooms are as standard rooms but located in prime locations throughout the resorts. Family Suites Sleeping 6 people are available at All-Star Music Resort only. Prices correct as at 6pm on 19 Apr 2019. Please call for final price. Prices are per person based on 2 adults & 2 children sharing. Other durations available - call for quote. Prices include flight and accommodation as stated below and transfers on Disney's Magical Express, this is available from Orlando International Airport only. For more car hire and transfer options please ask your travel expert. For the purposes of the prices above, children are assumed aged 11 and under. Teen prices also available. Pre-register now for FREE DISNEY DINNING! Book your 2020 Disney holiday before 2 Jul 19 and everyone in your party receives FREE Breakfast. PLUS receive Disney's 14-day Ultimate Ticket for the price of 7 days Get ahead of the queue and pre-register your interest today. Bookings open 25th April 2019.